We are in the most monumental of transitions in all of evolution at present, and our navigation through this time and our ability to impact on it depends on our DNA. The ability of our DNA to express higher coding is what evolves the body as vehicle to behold ever greater of the Infinite…ever higher vibratory light and frequency. And these orders of angels have appeared in 2013 because a new reality is dawning that was marked by the end of linear time in early 2013. We are being supported and upgraded to express highest strand capacity that is beyond the magnetic distortions from the story of separation. Eons of old programming can and will be erased through active engagement with these mighty beings and their many insights and gifts. This program contains power and teachings to anchor in the new reality. Not only will you learn radically new paradigms of being that free you from limitation, but these paradigms will be activated in your DNA. The new reality dawning is nothing like the old patriarchal rule we are leaving behind. The purer the body, the less dense it is; the less dense, the more it can hold a higher vibration, and the higher the vibe, the more refined the emotions and thoughts, the greater clarity and inner knowing, and the easier it is to manifest in life. Similarly, the less we resist life, the less tension…the less density, and so on. The higher the light, the greater the clarity, and the more we perceive the truth of life behind appearances. Density is what gives rise to linear time or to cause and effect. Resistance to life, desire for life to be different is what causes the gap between cause and effect–the larger the gap, the less aware we are of the connection and of the self as cause…the great the confusion and room for error, which engenders more resistance and pain. And so the less density and the higher the vibe, the more the gap between cause and effect closes, and the more we dwell in true reality wherein lies the power to manifest our dream reality. These DNA activation work clears old programs that create a distorted magnetic field from negative emotions and untruth. With less distortion, higher codes express and these free emotional body of trauma memories. As the emotions refine, trapped density releases as pure power to evolve the body. With more refined feeling frequencies in the chakras, the inner and outer senses refine, and the endocrine system secretes higher hormones that are capable of igniting coding from the chambers of the DNA to further accelerate body evolution and open higher faculties. Light-filled feeling and body power from purity are the necessary elements in accelerating awakening and mastery over this realm. Clear the magnetic field around the DNA that is steeped in the distortions from the story of separation that mankind has experienced for eons. This clears the ways for higher light and frequency to penetrate and activate the DNA. Clears patterns of fear and density at the level of organs, cells, joints, muscles, etc. 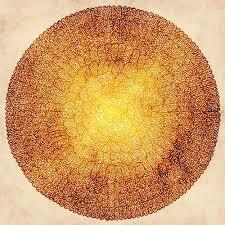 You are the central fractal pattern of your reality, so repair and refine the core pattern and reality changes. The core blueprint of this pattern is the DNA. Everyone has the same DNA potential, but not everyone’s DNA structure is robust; each person has varying levels of breakage and magnetic distortion. So while we are equal in potential, we are not equal in realized potential. That said, we are not bound by any of this, and all manner of support is available to clear the genetic distortions from the pain of separation. Radical new life awaits those who will allow it! There is tremendous support at this time in evolution to repair and evolve the DNA, and ignite it to highest strand capacity. This support comes from the archangelic and angelic realms that bring in new codes for a higher order of being. New orders of angelic gods have been invoked, and they bring the potential for much deeper transformation and awakening faculties for high magic that have been latent in man. 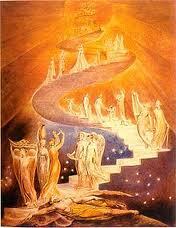 Never before have these higher orders of angels been present to man. This program works to bring the profound gifts of these angelic orders to you, through remote clearing sessions, activation audios, and sound elixirs that impact directly on DNA. Each level of clearing focuses on different levels of DNA activation and the magnetic distortions that prevent these from being embodied. From the clearing, you will experience release of old patterns of thought and emotion, greater ease in making changes in life, increased clarity, and acceleration in awakening. You will find it easier to maintain new shifted states of awareness, and over time, you will find life moves into greater synchronicity and flow. I’ve been listening to the DNA -4 activation several times a week. I am now feeling this deep, deep warm energy (only way to describe it) spreading through every fiber of my body during the activation! At one point a white light in the form of a funnel…droplets of white light came out the end of the funnel and moved into my navel area! It continued for sometime. I could also feel angelic presence. I just love them. You weren’t kidding about the incredible angelic Beings! I am so grateful Anita! Thank you so much for all that you have created and shared with us! O.S. To join the program, use the purchase buttons below. 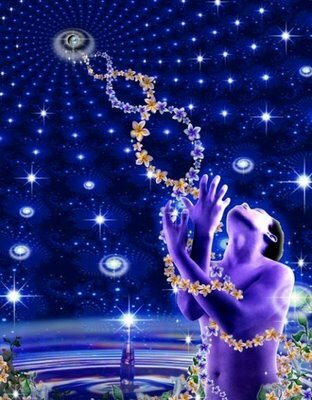 The DNA clearing program is delivered in 6 sessions, and each session will clear more and more of the distorted magnetic field around the DNA until it is receptive to the higher codes that are available to us as we live the principles of the new reality. With each clearing, new patterns and potentials are activated. All sessions are done remotely., and we schedule them to best suit your schedule. When you sign up for the full program of 6 clearing sessions, you also receive several bonus audios throughout the program, including angelic sound elixirs that work directly to activate chambers in the DNA (received and sung by Almine). This is an effortless way to embody new potentials. The full program is $677, and will be delivered over 3 months, allowing for 2 weeks for integration of each level. You may purchase this using the buttons below (one time payment, or 3 monthly payments of $195 each. More details are given below. You may also purchase activation sessions singly, at $133 each, but you do not get the live 12-week support program and the many bonus audios that you get in the full program. Upon purchase, you will receive a welcome email and a time for the first session. As soon as you do any DNA clearing session, you will be included in 3-months of daily and weekly maintenance healing through our Whole Being Flourishing Platform. (300 value) This is to ensure optimum integration of what you receive. Colleague Jodie Carter and I do the weekly session around 5pm EST Sunday evenings. You do not have to be in meditation, but you certainly are welcome to. You will receive material to support you in integration. To read more important information on the DNA, click here.For a Q & A on DNA and the program, and related topics, click here. And if you have a question you’d like answered, email at anita.lucia.briggs@com, and I will post the answer to this page if of general interest. The first session clears the magnetic distortions of the first layer of the “DNA Rose”. This clearing pertains more to healing of the physical body. It also supports the establishment of greater co-resonance between Heart and DNA. This session comes with two audios–one to deepen the foundational activation and first layer of clearing, and the second contains affirmations (including a subliminal track) to align with the principles of the new creation. Your ability to wield healing power at this time is in measure as your consciousness is firmly rooted in the Heart. Immerse in higher spiritual principle and it will become first-nature. There is no limit anymore to what may arise within us and to the evolutionary potential that we may unfold. With greater understanding of what is possible comes greater ability to wield the powers available to us at this time. The second session continues to clear the pain body and the focus is at the emotional level and continues to work at expanding the Heart. In the audio for this session, you will understand how to engage the angelic realm to accelerate healing. You may purchase this session using the button below. Please note that you must complete the sessions in sequence, and cannot pick and choose, as the clearing follows an intelligent order. The third clearing session – Mental-Spirit body (audio in progress). This session targets core patterns of illusion that have sustained mankind in separation. The patterns of seeing duality, creating polarity and drama, misunderstandings around the Infinite, the purpose of creation, time and space, etc. All these ingrained programs have locked us into belief structures that prevent our awakening into the new reality beyond the stories, beyond karma, separation, and linear time. The fourth clearing session – Higher mental-Spirit ~ This session clears all programs and patterns of victimhood, inequity, fear of being authentic, fear of failure, feeling unprotected, etc. Deepening of divine qualities continues. With this session you also receive a powerful meditation to enter into the center where form may be dissolved and created. This session also brings in the rays of light of the new creation, and includes a regeneration audio and process to help dissolve the wear and tear or the effects of separation from the face and body. These come as bonus audios, and are more effective once the other sessions have been completed. Sessions 1-4 clear patterns of the old reality or separation, and the imprints and damage from believing the false to be real that has broken and split the DNA. In the new creation, we are learning to live in complete surrender, in fluidity of being that embraces the unknowable. The Infinite and the vastness of creation are truly unfathomable by our faculties of cognition, that we must become accustomed to living beyond beliefs and identification that makes us think that we know. We cannot know the unknowable, we can only participate in experiencing it as it arises freely in and around us. And as we do this from a place of knowing we don’t know (beyond fixed beliefs or wanting to box things in), our faculties of cognition expand, and the unknown becomes known…and this goes on eternally. In sessions 5 and 6 we begin with activating tremendous frequencies that support flourishing in life. The fifth clearing session – Seeding New Surrendered Being, who is opening to embodying the new creation and flourishing within it (audio in progress). There are three audios to integrate each of three main phases of activation. In this session, we start to bring in the tones that activate the first three rows of DNA petals through understanding their associated perspectives–this begins to establish ‘pristine man’, which is a noble state of being heir to the Kingdom. Through awakening the refined states of awareness in the 24 chakras we harmonize the emotional body, the inner and outer senses, and eventually the glandular system to enable secretion of higher hormones. To purchase, use the button below. The sixth clearing session – In session 6 we move further up the rows of the DNA Rose and into the magic of the gods, focusing on opening the 144 gates of abundance in the body. The state of being open to receive lavishly and knowing that you are the one who gives to yourself is one that will cause a cascade of profound shifts that will reorder your life on many levels. You will receive an audio with powerful affirmations in the Mother’s language of light, and a process to clear the meridian system and activate the flow of the deeper meridians that will support new perspective beyond duality.